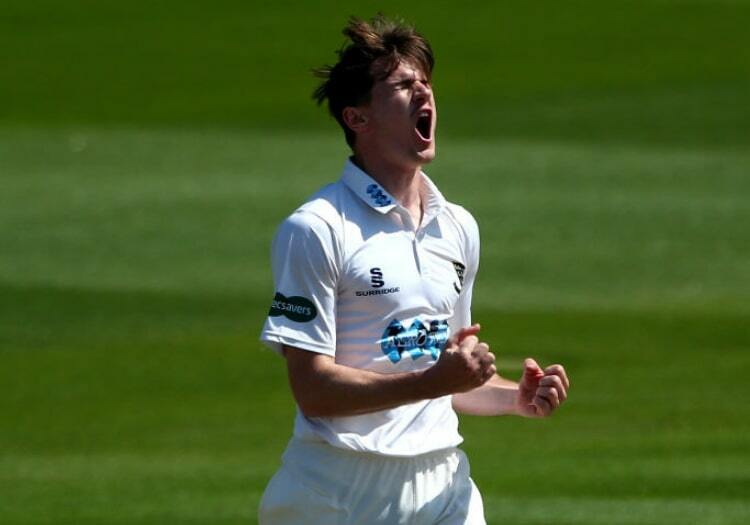 Sussex coach Jason Gillespie is backing George Garton to put his career back on track after he struggled to build on his early England exposure last summer. With England failing to match Australia's firepower in the 2017/18 Ashes, Garton, 21, was drafted into the nets despite only having played nine first-class matches. As a left-arm quick capable of touching speeds of up to 90mph, he was seen as an attractive alternative to the battery of right-arm fast-medium bowlers England had picked. He struggled in a tour match at Townsville, but was still seen as a potential long-term replacement for James Anderson and Stuart Broad. The summer did not go to plan for him however, and he spent a lot of time playing 2nd XI cricket. With Jofra Archer now qualified for England, Chris Jordan back in the frame after his excellent T20 displays against West Indies, and last season's big success story Ollie Robinson easing back from a hip injury, his time may now come. "George is an exciting young allrounder," said Gillespie at Sussex's press day ahead of their Championship opener on Friday at home to Leicestershire. "I hope he can take some opportunities when they get presented this summer. He needs to work on his consistency of line and length. His challenge is to be in a position that - when a position comes up - he is at the front of the queue to grab it with both hands. There are no guarantees of selection, but I am confident if he gets an opportunity he will give himself the best chance." Garton scored two centuries for Sussex 2nd XI last summer and another on pre-season tour to South Africa in the spring. Gillespie said: "We see him as an allrounder. As a batsman he has a real power game and a touch game. He is also the best fielder going around in the country. It's exciting." On Sussex's other seamers, Gillespie said: "We will be delighted for Jofra if he gets called up. Ollie's fitness is building up nicely. Chris is back in the England frame, so we have signed Mir Hamza [from May 20-July 13] and Will Sheffield, a left-arm swing bowler from our Aldridge Cricket Academy on a season's deal." Sussex just missed out on promotion last year, finishing third in Division Two. This year three teams go up. Is Gillespie feeling optimistic? "I never talk about things like promotion. We need to just keep improving. We will keep reviewing how we get better and results look after themselves. "I am very pleased with the winter's work. We put emphasis on our fitness as we felt the lads got a bit tired and fell away a bit. We want to be in the best possible shape and cricket-specific fitness we can be in for a tough, challenging season. We want to take the season deep. Being as fit and strong as we possibly can be gives us that chance. When I arrived in Cape Town to meet the squad I was really pumped that the lads had seen that through. We want to improve our speed around the ground and between the wickets, and improve our throwing arms. You will see a really athletic team now in all forms." Sussex's Championship push fell away in the last few matches as they topped 200 once only in their last six innings. The good news is that Stiaan van Zyl is recovering well from the knee injury that kept him out for most of the season. "As someone who churns out 1,000 runs a season he is always welcome," said Gillespie. "We are going to have to manage him as best as we can this summer. He is a big strong lad, so we will try to get him as much cricket as possible. "We just didn't bat well [in those last few matches]. We didn't put enough partnerships together. We weren't putting scores on the board. We were not giving ourselves enough chance." 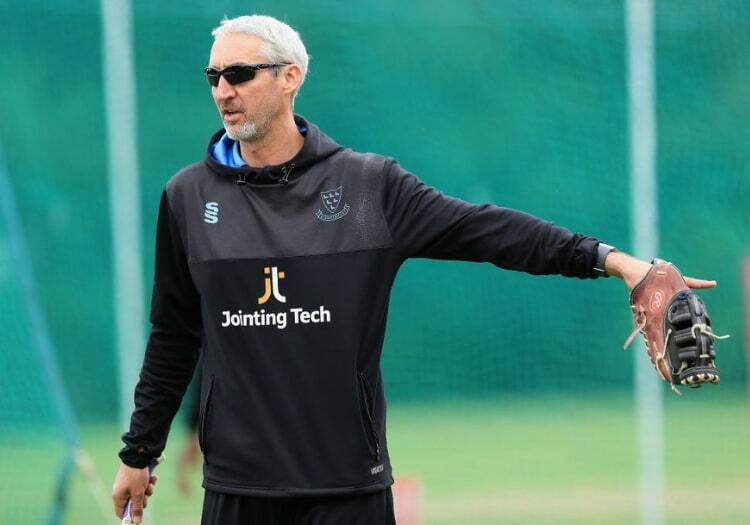 Gillespie, 43, is a year into a three-year deal, and the signs are that he will finish the job off this summer and help Sussex return to the top flight. They also have an attack that looks well-equipped to challenge for the Blast again – they lost to Worcestershire in last year's final. He also says he is interested in coaching in The Hundred. "If something became available I'd probably have a look at it. I'm open-minded. I'm all for innovation. If an opportunity comes up in a coaching capacity I'd love to explore it." With some of the Indian Premier League matches being clocked at more than four hours, Gillespie said: "That is why the ECB came up with the Hundred. That is far too long for a T20 game." Sussex is his priority though, and a year on nothing has dented the confidence emanating around his presence at Hove.